Bindweed is in the same family as morning-glory and its flowers are very similar. 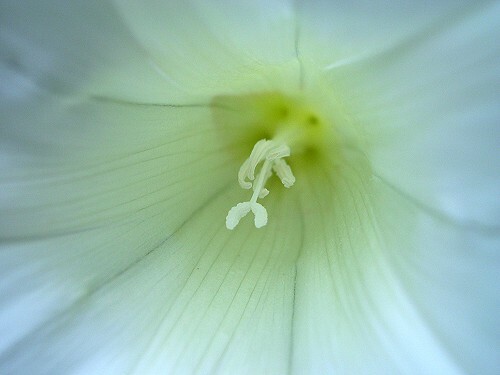 However, bindweed is a perennial weed. It is probably the most troublesome weed in the garden and is very difficult to eradicate. 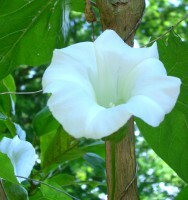 It has a massive root system and its long stems twine around other plants and trees.